A jury comprising industry experts selected the e-residency digital ID application environment as the winner of the Best Estonian E-Service 2015 prize, with the environment increasing the number of e-residency applicants dozens of times over in its first week of service. Jury chairperson Aet Rahe said the jury’s decision was based on the presumption that the e-residency programme has great potential to help grow the greater Estonian economic space as a whole. “In our evaluations, we tried to judge not the trees, but the forest behind the trees. E-residency opens up new possibilities, and although it’s still difficult to accurately calculate the numbers, if Estonia’s engineering corps join forces, there is no doubt that we can come up with new smart services,” Rahe said. In addition to the grand prize winner, the jury also chose winners in the private sector, public sector, and civil society e-services categories. In the public sector e-services category, the winner was the Estonian Road Administration e-services, which allow background checks on vehicles to be run, the exchange of driving licences, and vehicle ownership to be transferred electronically. The Road Administration estimates the electronic issuing of driving licenses alone has helped save 5,000 man hours this year. In the private sector e-services category, the winner was Barking, which helps parking space owners put their free parking spaces on the market. Thus far, Barking has made more than 1,300 parking spaces available in Tallinn. In the civil society e-services category, the winner was the Estonian Film Database, which collects information about every Estonian film. The public choice award for the best e-service, however, went to Sport ID, which received 600 votes on Facebook. Sport ID helps companies and organisations manage their employees’ sports costs better by consolidating different receipts that are required in order to receive compensation for sporting activities into a single invoice. Estonian companies, organisations and individuals submitted 67 e-services to the competition to find the best e-services. These are services that help simplify everyday life, business activities, and dealings with government officials. 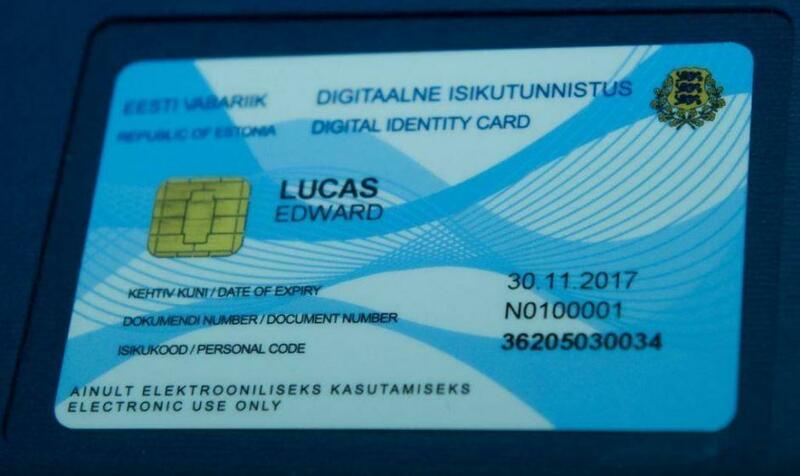 Cover: First e-residency card was given to Edward Lucas.